The 1983 double bombing in Beirut, the capital of Lebanon, left 241 American service members, 58 French military personnel and six civilians killed, alongside hundreds of others injured. 21 years later in 2004 Iran’s Revolutionary Guards (IRGC) unveiled a “monument” in “honor” of that terrorist attack. This “memorial” column, installed in a section dubbed “Martyrs of the Islamic World” in Tehran’s Behesht-e Zahra Cemetery, carried a very vivid message: Iran’s IRGC was behind the 1983 blast targeting the peacekeeping force in Beirut. 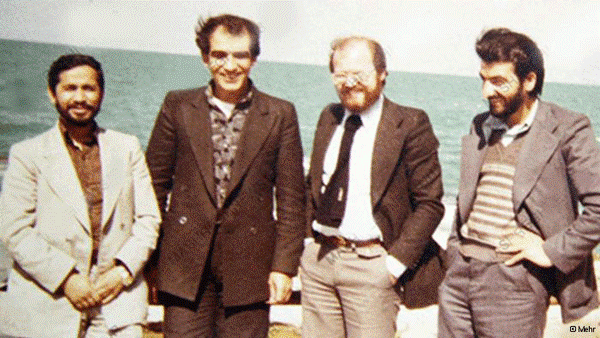 34 years have passed since that attack and today the IRGC has been designated a terrorist organization by the US Treasury Department. Such a measure deserves praise, yet is long overdue. On October 23 of that year a suicide bomber drove a water tanker into the U.S. Marines barracks and detonated around 1,000 kilograms of explosives (equal to 15,000 to 21,000 pounds of TNT), transferred with large trucks into buildings where the Multi-National Forces in Lebanon were stationed. The United Nations was involved in a broader peacekeeping mission to bring an end to the Lebanese civil wars. The Islamic Jihad, an Iranian offspring terrorist group, claimed responsibility for the attacks. In line with its pillar policy of exporting terrorism and warmongering across the Middle East, one of Iran’s first objectives was to launch a central command base for the IRGC and its local mercenaries in Lebanon. These elements were initially dispersed in towns and villages of the Baalbek area in eastern Lebanon near the border Jordan. On September 10, 2003, Iran’s state-run Mashreq daily published a photo imaging Rezaee, former IRGC logistics officer Mohsen Rafighdoust, former IRGC foreign relations officer Mohammad Saleh al-Hosseini and Lebanese terrorist Anis al-Naqqash, said to be behind the first assassination attempt targeting former Iranian Prime Minister Shapour Bakhtiar in 1980. With support provided by the IRGC and under the command of former defense minister Hossein Dehghan, the Lebanese Hezbollah took over the Sheikh Abdullah Base in early September 1983. This site was the main center of the Lebanese Army in Bekaa Valley, and was later renamed Imam and transformed to become the IRGC’s main command center in Lebanon. From this very site the IRGC controlled Hezbollah militia units and directed the Beirut bombings alongside senior Hezbollah commanders, most specifically the known terrorist Imad Mughniyah. The orders for the Beirut bombings were first issued by the IRGC to Ali Akbar Mohtashemipour, Iran’s then ambassador to Syria. He then relayed the orders to IRGC units stationed in Beirut under Dehghan’s command. The Islamic Jihad organization was in fact a special ops branch. Until its final days in 1992 this entity was jointly commanded by the Lebanese Hezbollah and IRGC. Following the Beirut bombings France began aerial attacks in the Bekaa Valley targeting IRGC-linked bases. The US responded to these terrorist attacks by planning raids on the Sheikh Abdullah Base where the IRGC was training Hezbollah militias. There should be no feeling of positivity in response to terrorist attacks, no matter where in the world. Terrorism is terrorism. Yet the Iranian regime follows no such standards. The state-run Rasekhoon website posted a piece literally praising the Beirut double attack. “A US federal judge has ordered Iran to pay more than $813 million in damages and interest to the families of 241 US soldiers killed in the 1983 bombing of a Marine barracks in Lebanon,” according to Agence France-Presse. “After this opinion, this court will have issued over $8.8 billion in judgments against Iran as a result of the 1983 Beirut bombing,” Judge Royce Lamberth, presiding over this case, wrote in the ruling. In September 2013 a US federal court in New York presided by Judge Katherine Forrest ruled in favor of the families of the Beirut bombings victims. In July 2014 an appeals court in New York turned down a request filed by Iran’s Central Bank and ordered $1.75 billion in compensation from Tehran’s frozen assets be distributed amongst the victims’ families. This ruling was issued by a three-judge panel of the 2nd branch of New York’s federal appeals court. That same year Iran’s Central Bank filed for an appeal, arguing this ruling is in violation of US’ obligation according to accords signed back in 1955. With their notion turned down, Iran’s Central Bank referred the case to the US Supreme Court. On April 20th, 2016, America’s highest court ordered $2 billion dollars from Iran’s blocked assets to be extracted and used to pay the families of the Beirut bombings victims. Enjoying 6 votes in favor in the face of two against, this order was adopted despite Iran’s Central Bank request for an appeal. For more than thirty years the curtains have gradually fallen and the true face of Iran’s IRGC, as a source of support for terrorism, has become crystal clear. Rest assured the footprints of this notorious entity will be found in more crimes inside Iran, around the Middle East and across the globe. This is further proof of the necessity of strong measures against the IRGC as the epicenter of Iran’s war machine. Utter belligerence has been Tehran’s offspring for four long decades. The time has come to say enough is enough. The victims of the 1983 Beirut double bombings, and literally the millions of others who have perished due to Iran’s policies, should know their blood was not shed in vein. All eyes are on US President Donald Trump and his upcoming Iran speech later this week to clarify his decision to certify or decertify Tehran’s compliance with a nuclear agreement, officially known as the Joint Comprehensive Plan of Action (JCPOA), designed to curb the regime’s controversial atomic drive. 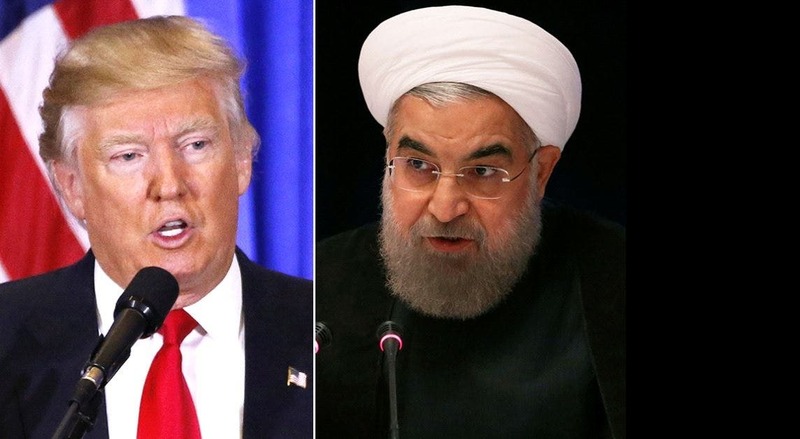 This has Iran’s regime on its toes, as senior elite in Tehran understand fully how the US can lead the international community in adopting strong measures against its broad scope of malign activities. Expected to be addressed is also a wide range of concerns over Iran’s dangerous policies in relation to its ballistic missile advances, meddling in Middle East states and supporting terrorist proxy groups as explained in a new video. Iran’s rogue behavior, currently imposing its influence on four major regional capitals of Baghdad, Beirut, Damascus and Sanaa, are the result of the Obama administration’s “overly lenient foreign policy, which sought to promote America’s priorities through consensus, rather than through the frank display of power,” as put by a recent The New Yorker piece. “Lifting the sanctions as required under the terms of the JCPOA has enabled Iran’s unacceptable behavior,” US Secretary of State Rex Tillerson said in a late September meeting with his P5+1 counterparts and Iran’s top diplomat Mohammad Javad Zarif. 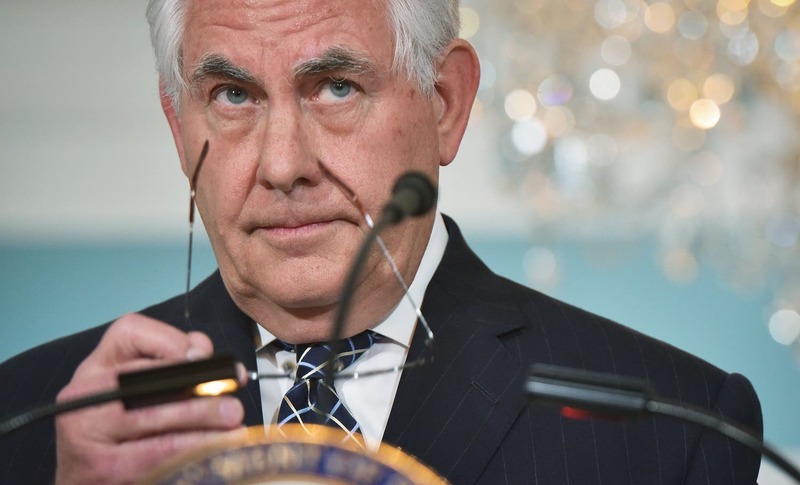 The Trump administration is also deeply concerned over Iran’s proxies mining the strategic Bab el-Mandeb Strait waterway, aiming its indigenous missiles from Yemen towards cities in Saudi Arabia and other Gulf countries, and from southern Lebanon towards Israel. This is Tehran in action with the objective of taking advantage of the destruction left behind by ISIS across the region, especially in Syria and Iraq. Parallel to the White House there are voices on Capitol Hill advocating the new approach weighed by the administration. “The president should decline to certify, not primarily on grounds related to Iran’s technical compliance, but rather based on the long catalog of the regime’s crimes and perfidy against the United States, as well as the deal’s inherent weakness,” Senator Tom Cotton said last week at a speech in the Council on Foreign Relations. As the Trump administration seeks to place necessary focus on Iran’s illicit Middle East ambitions and actions, talks are also ongoing as we speak over how to amend the JCPOA’s restrictions. “Sunset clauses,” Iran’s ballistic missile development and testing, and an inspections regime lacking the bite to gain necessary access into the regime’s controversial military sites. Under the current framework Iran can easily conduct nuclear weapons research and development in military sites and claim such locations do not fall under the JCPOA jurisdiction. While it is expected of Trump to decertify Iran, he most likely will not go the distance to completely pull America out of the nuclear agreement. Obama refused to send the JCPOA to Congress for discussion and approval. Trump, however, seems set to place the decision to impose further sanctions on Iran upon the shoulders of US lawmakers. The new mentality sought by Washington is to address all of Iran’s belligerence and not allow its nuclear program and the JCPOA devour all of the international community’s attention. The new US response, including blacklisting Iran’s notorious Revolutionary Guards, to be announced by Trump is said to cover missile tests, support for terrorism and proxy groups checkered across the Middle East, hopefully human rights violations at home, and cyberattacks. Iran has a history of resorting to such measures, including targeting Saudi oil interests. Raising the stakes for Iran, Trump described a meeting with his top military brass on Thursday evening as “the calm before the storm.” Neither the US President nor the White House provided further details, yet rest assured Tehran received the message. Sensing an increasingly escalating tone from Washington, Tehran signaled its first sign of fear by expressing readiness to discuss its ballistic missile program, according to Reuters. And yet less than 24 hours later, Iranian officials said no offers were made to negotiate such restrictions. 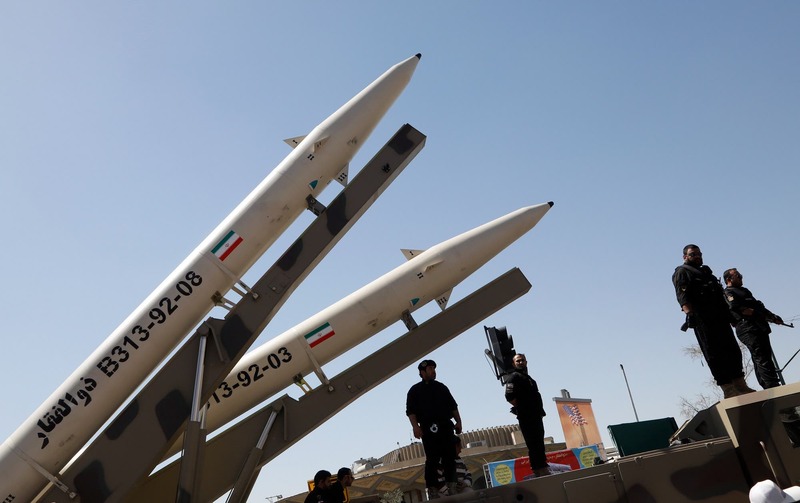 “Iran regards defensive missile programs as its absolute right and will definitely continue them within the framework of its defensive, conventional and specified plans and strategies,” Iranian Foreign Ministry spokesman Bahram Qassemi said, according state media. Iranian President Hassan Rouhani also felt the need to make remarks to save face before the regime’s already depleting social base. “In the nuclear negotiations and agreement we reached issues and benefits that are not reversible. No one can turn that back, not Mr. Trump or anyone else,” Rouhani said at a recent Tehran University ceremony, according to state media. Of course, we all remember how prior to the JCPOA signing in 2015 senior Iranian officials went the limits in describing any “retreat” regarding their nuclear program as a “red line.” To make a long story short, Tehran is comprehending how the times are changing at a high velocity, endangering its domestic, regional and international interests. And unlike the Obama years, its actions will not go unanswered. Iran has recently witnessed increasing pressures from both sides of the Atlantic, especially over its ballistic missile ambitions. After weeks of deliberations, the US Congress passed initiatives imposing unprecedented restrictions on Tehran. Just one day after Iran test-launched a satellite-carrying rocket, the Europeans on Friday joined their American allies in sharpening their tone on Iran’s mullahs, demanding an immediate cessation. The US Treasury Department also responded sharply, imposing even further sanctions on six companies owned or supervised by the Shahid Hemmat Industrial Group, known to play a central role in Tehran’s ballistic drive. All their US assets have been frozen and US citizens barred from dealing with the six firms. As expected, Iran has continued its refusal to cooperate. “We will continue with full power our missile program,” said Iranian Foreign Ministry spokesman Bahram Ghasemi to state broadcaster IRIB. A logical conclusion would be for Iran is to yield back on its ballistic missile program. Yet this isn’t necessarily the case for Tehran. 1) While not understood by many in the West, the mullahs desperately need to maintain a straight face before its already dwindling social base. 2) Iran will continue to set the stakes high for the international community – meaning continue their missile program – until pressures corner it in the ring, similar to 2013 when sanctions forced Iran into the nuclear negotiations. Iran needs to undergo missile tests similar to those seen Thursday, claiming to seek placing satellites into orbit. Whereas it is common knowledge the same technology is used to develop intercontinental ballistic missiles enabling Iran to threaten targets in mainland United States. 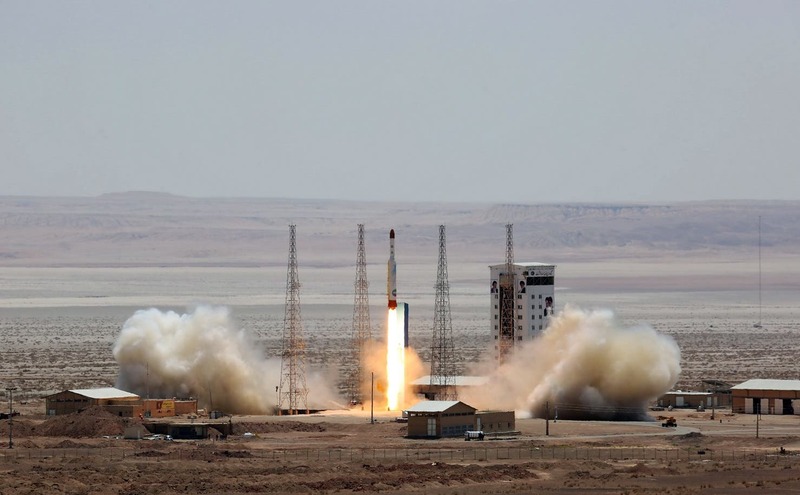 While Iran abandoned any intention to place a man into space, it continues to seek similar objectives even despite reports of the recent “Simorgh” test-launch failure last week. As Iran’s ballistic missile program is known to have received huge amounts of support from the North Koreans, Iran itself is known for parties abroad through providing missile armament. The Iran-backed Houthis in Yemen launched a ballistic missile Thursday fired targeting the Muslim holy city of Mecca in Saudi Arabia, only to be shot down, according to the Saudi-led coalition fighting the Tehran proxies. This shows both the threats posed by Iran’s ballistic missile program, as such arsenal can be provided to dangerous groups abroad, and to what extent Iran will go. Further to the west in the flashpoint Middle East region reports also indicate of Iran building and launching underground missile production factories in Lebanon. This is a new form of exporting instability and extremism for Iran, and these sites are currently controlled completely by the Lebanese Hezbollah, Tehran’s main terrorist offspring. What is terrifying Iran, however, is the new and unexpected landscape it finds itself in as the Trump administration is busy overhauling the highly flawed Obama foreign policy vis-à-vis Tehran. Senior Iranian regime officials were heard threatening attacks against American bases prior to last week’s unparalleled sanctions mainly targeting the Revolutionary Guards (IRGC). Both chambers of the US Congress passed their bills with veto-proof authority. Neither destabilizing impact of Iran’s ballistic missile ambitions on the Middle East, nor the IRGC’s role in this regard can be denied. It is also true that Iran took advantage of Obama’s disastrous appeasement/engagement policy to advance its missile arsenal to the utmost extent. Despite the new US sanctions restricting and blacklisting the IRGC being long overdue, needed now is for the Trump administration to fully implement such actions against Iran. There is no more room for reservations that have to this day provided Iran paths to bypass and derail international community efforts. The countries of Iraq, Lebanon, Syria and Yemen have suffered the most of Iran’s belligerence, and the full eviction of the IRGC footprints from these states would be the next necessary step forward against Tehran’s regime. With the recapturing of Mosul, the rein of ISIS in northern Iraq is coming to an end. This, however, can lead to the reemergence of a far more dangerous threat for the future of this fledgling democracy. Iran and its destructive meddling Mesopotamia has devastated this entire nation, leaving at least tens of thousands killed, scores more wounded, injured and displaced. Tehran has continuously targeted the Sunni community in Iraq and taken advantage of the war against ISIS to change the very fabric of this minority. Sunni provinces have been the target of this wrath especially after Nouri al-Maliki, described by many as Iran’s puppet in Iraq, reached the premiership in 2006. Ever since 2003, with a surge beginning under al-Maliki’s watch, Iran has flooded its western border neighbor with financial, logistical and manpower resources, spearheaded by the Revolutionary Guards (IRGC). The track record of Iran-backed proxy groups and death squads in Iraq is nothing short of deadly and atrocious. One group alone, Asai’b Ahl al-Haq, claims to have launched over 6,000 attacks targeting US soldiers from 2006 onward. Amnesty International has also filed a disturbing report over Iran-backed militias being supplied US arms by the Iraqi government, only to carry out war crimes targeting the Sunni community. The defeat of ISIS must not be considered the end of the nightmare. Far from it. General Stephen Townsend, commander of the coalition forces against ISIS, recently emphasized the importance of all Iraqi parties reaching a political consensus in the post-ISIS stage. To emphasize his point, Townsend touched on the sensitive topic of Iraqi Sunnis feeling unrepresented in Baghdad. Former US defense secretary Ashton Carter, who supervised the anti-ISIS effort from early 2015 to January of this year, underscored “chaos and extremism” will follow if the “political and economic campaigns that must follow” fail to render the results needed for Iraq future’s. On a side-note, the internal sectarian drives in Iraq are not be considered the result of an especially bloody history. Iraq’s conglomerate of communities experienced peaceful coexistence for over a millennium. As Iran began its hidden occupation from 2003 onward, one campaign pillar focused on instigating sectarian strife with the objective of expanding its influence through Shiite communities in strategic areas across the country. Such policies have been carried out vividly in all Sunni provinces recaptured from ISIS control. There is no need to divide Iraq into federalized states, as this would deepen the rifts amongst a nation that needs to begin rebuilding the bridges and bonds destroyed. Despite all the flaws in the campaign against ISIS, Prime Minister Haider al-Abadi has the potential to be pulled out of Iran’s influence and act as an independent figure. This is especially true as he has stood in the face of Iran’s pressures, while there remains far more necessary cleansing of the mullahs’ influence in Iraq. Following the historic Riyadh summit earlier this year, it is time for the Trump administration, allied with the Arab World, to take serious action curbing Iran’s influence in Iraq. All al-Abadi government officials must prove their allegiance to the Iraqi people and not the Iranian regime. The Iraqi judiciary is also heavily under Tehran’s influence, seen specifically when the country’s supreme court last October blocking al-Abadi’s reform package aiming to “decrease the political space — and platform — for sectarian saboteurs and political spoilers like Maliki,” as explained in The Hill. Iraq now lays in devastation and the road ahead will be difficult. This country needs the correct support from its well-meaning neighbors – not the regime in Iran – and the international community to once again stand on its own and play its expected part in today’s world. 3) Supporting the Sunni community in all Iraqi hierarchy and security forces, and establishing an equal method of governance across the country. In a recent speech, Iranian opposition leader Maryam Rajavi highlighted how Iran has for 38 years been at war with Iraq and other nations in the region and beyond. She underscored, “…the ultimate solution to the crisis in the region and to confronting groups like ISIS lies in the overthrow of the Iranian regime by the Iranian people and it’s Resistance.” That seems to be the only way to protect Iraq from Iran. ANALYSIS: Is the Arab Summit alliance raising stakes for Iran? It appears the recent Arab League Summit in Jordan should be considered an important development in the path of further isolating Iran in the Middle East. At a first glance, this was a conference in which the highest number of state leaders participated in comparison to previous such gatherings. Following a rocky first month in Trump-Iran relations, it’s significant that Iranian Supreme Leader Ali Khamenei has chosen to maintain a substantially low profile. Comprehending the threat of vast changes in Washington, Khamenei also knows he cannot show weakness to his dwindling social base already terrified of major changes in the new U.S. administration’s policies vis-à-vis Iran following Obama’s eight years of appeasement. These are interesting observations from Khamenei, and they should be considered deceptive, because he understands fully well that with Obama gone, so are the concessions the previous White House provided to his regime. Khamenei’s own change in reactions is further proof, as he is seen choosing his words quite carefully. During the Obama years, Khamenei himself used strong terms in threatening American interests across the globe. He went as far as saying that his regime would “raze” Haifa and Tel Aviv to the ground, wasting no time in lashing out at any threats. This also showed how Obama’s appeasement policy failed miserably. Now that Khamenei is receiving “on notice” level warnings from Washington, he is in fact completely terrified to use any strong terms. However, he is resorting to a new tactic of claiming there being “no difference” between the Obama and Trump administrations. From January 20th onward, Khamenei has repeatedly made such remarks about the two administrations. This comes at a time when the supreme leader and his inner circle used believed sanctions could have no impact. Such a shift in tone seen in Khamenei is the index that a policy of firm language against Iran, parallel to economic pressures through sanctions, can bring this regime to its knees. On the other hand, we are witnessing that Tehran’s lobbies, and those who capitalized on massive economic gains rendered through the appeasement policy, are desperately speaking out against any sanctions, and especially the possible designation of the Revolutionary Guards (IRGC) as a foreign terrorist organization. This is nothing but fake news, signaling that not only officials in Tehran, but their decreasing number of international correspondents, are concerned about Obama’s appeasement policy coming to an end. A firm policy against Iran goes far further than only containing this regime’s nuclear ambitions and foreign meddling. Such a shift can also fuel the Iranian people’s increasing protests against this regime. The exact opposite of Obama turning his back to the 2009 uprising in Iran. Recent protests in Ahvaz and other cities resembles the Iranian people’s hatred of this regime and their thirst for change. Ended Sunday, February 20, the Munich Security Conference condemned the Iranian regime for disrupting security and stability in the region. The delegations in the conference had one sentence in common when speaking against the Iranian regime: the Iranian regime is the biggest state sponsor of terrorism in the world, said by U.S. Vice President Mike Pence as well as Saudi FM Adel al-Jubeir. Also, Turkish finance minister Mevlut Chavushoghlu put this same issue another way while pointing to the regime’s interventions in Syria and Iraq. “Iranian regime is seeking sectarianism in the region”, he said. The new alliance of Arab nations, and especially the participation of Turkey, has raised major concerns among senior officials in Tehran as a strong front against its terrorism and meddling in other countries is formed. The formation of such a front is a sign of significant policy changes in Washington. This appears to be a step in the direction of regaining the trust lost amongst U.S. allies during the Obama tenure to confront Iran’s terrorism and meddling in the Middle East. Military drills and hollow saber rattling by IRGC commanders during the past few days shed light on Iran’s fear and severe weakness of developments in the makings with the incoming policy alterations in Washington. What needs to be understood is that we are already at the beginning of a new era where the regime in Iran will no longer benefit from an appeasement policy that allows it to both increase its domestic crackdown and foreign warmongering, such as Iran’s involvement in Syria, and continuously threaten to abandon ship on the accord aimed at curbing the Iran nuclear program. This provides a golden opportunity for the international community to begin standing shoulder to shoulder with the Iranian people and its organized resistance under the leadership of Maryam Rajavi, a Muslim woman who represents a tolerant and democratic Islam against a fundamentalist version of Islam advocated by the mullahs’ regime. Bringing an end to the appeasement policy and, as being recently weighed by the Trump administration, designating Iran’s Revolutionary Guards as a foreign terrorist designation are necessary steps in a long overdue roadmap. Shahriar Kia is a political analyst writing on Iran and the Middle East. He is the member of the Iranian opposition, the People’s Mujahedin Organization of Iran (PMOI, also known as the MEK). He graduated from North Texas University. The slate of sanctions slapped on Iran by the new Trump White House in response to Tehran’s January 29th ballistic missile test is a welcome development. There are hopes such a move will signal to the mullahs to begin curbing, and eventually ending, their support for global terror, testing of ballistic missiles and the ongoing domestic crackdown. While the Trump administration’s actions to this day may be considered lacking the necessary might to make Iran’s regime truly feel the pain, they represent a key U-turn from his predecessor’s appeasement drive. And now, while long overdue, there is serious talk of labelling Iran’s Revolutionary Guards (IRGC) as a foreign terrorist organization. This necessity has become more vital following a press conference held Tuesday by Iranian opposition National Council of Resistance of Iran (NCRI) in Washington. Citing based on information obtained by the social network of the People’s Mojahedin Organization of Iran (PMOI/MEK) inside Iran, NCRI US Representative Office Deputy Director Alireza Jafarzadeh revealed with details and specific locations how the IRGC Quds Force has assigned a major branch to increase the number militia members trained to take part in Tehran’s proxy wars already threatening Syria, Iraq, Yemen, Bahrain, Afghanistan and beyond. “Daesh (ISIS) and the Tehran regime armed with its Revolutionary Guards are two sides of the same coin, with the distinction that the Revolutionary Guards has at its disposal a nation state with all its strategic resources,” Jafarzadeh said. The IRGC’s role in fomenting crises across the region and terrorism on a global scale is undeniable. This includes provocative meddling in Saudi Arabia, and goes in line with the necessity to designate this entity as an organization focused on global terrorism. Iran has a long history of aggravating instability and shedding blood. 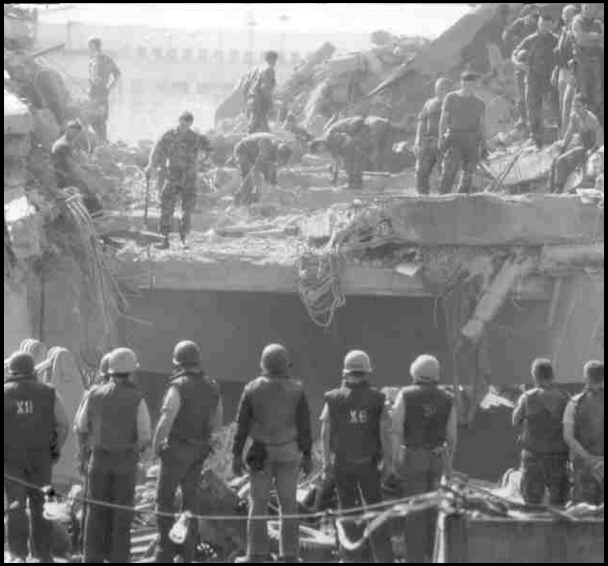 The 1983 bombing of the US Marine barracks in Lebanon that left over 240 dead and the 1994 Jewish community center in Buenos Aires, resulting in 85 deaths and hundreds injured, are two hallmarks of the Iranian regime’s terrorist nature. Iran’s mullahs are the godfathers of the Lebanese Hezbollah, the force behind many of its international terrorist attacks, and it is only a logical conclusion that the entity providing the arms, training and finances would be none other than the IRGC. As we entered the new millennium, and the presence of international troops led by the United States became ever more present in the Middle East, the IRGC launched intensified countermeasures by resorting to organizing and dispatching Shiite militias on a mission to wreak havoc. Iran’s involvement in Syria, Iraq, Yemen and Lebanon are different fronts coordinated by the IRGC as unconventional means to tilt the region’s balance of power in its favor, boosted by a failed appeasement policy during the Obama presidency. The IRGC was also able to take advantage of the Obama doctrine to advance Iran’s nuclear program and ballistic missile drive, emboldening the mullahs into testing the new Trump administration with a medium-range ballistic missile test. By taking advantage of loopholes in the Obama administration’s ironically cherished nuclear accord with Iran, the IRGC has pursued the nuclear program – now claiming to have tested new centrifuge designs – and their troubling ballistic missile aspiration threatening US interests and strategic allies across the Middle East. Parallel to all these troubling activities, and not of any less importance, has been the IRGC’s leading role in the mullahs’ domestic crackdown. The main IRGC entity in implementing this policy is the paramilitary Basij militias that roam the streets to enforce a climate of fear and oppression, leading to an array of violations of human rights in Iran. Iran continues to top the list in executions per capita, and such a trend has intensified during the tenure of Iranian President Hassan Rowhani. Iran’s jails are also known as dungeons where many such executions are performed, and the IRGC enjoys specific wards used to torture inmates for coerced confessions. Iran as a regime is designated as the leading state sponsor of terrorism by the US State Department, and also described most recently by Defense Secretary James Mattis. The IRGC, known as the main entity pursuing the mullahs’ policies, meets the necessary legal index of a foreign terrorist organization (FTO) designation. c) US nationals and/or national security is threatened through the organization’s terrorism or terrorist engagements. Initiatives have also been instigated in both chambers of Congress, as the “The Iranian Revolutionary Guards Corps (IRGC) Terrorist Designation Act” underscores how the IRGC meets the designation criteria of an FTO. Tuesday’s revelations by the NCRI in Washington according to MEK-obtained information highlight the major role the IRGC enjoys in Iran’s vast terrorism apparatus, and the utmost necessity for the Trump administration to issue an FTO designation for the IRGC as it rightfully deserves. Such a move will have the new US administration stand along its allies in the Middle East and signal to the Iranian people the true support they now enjoy in America.